Use Electroplast’s double walled TPC protection tube for the protection of your cables. 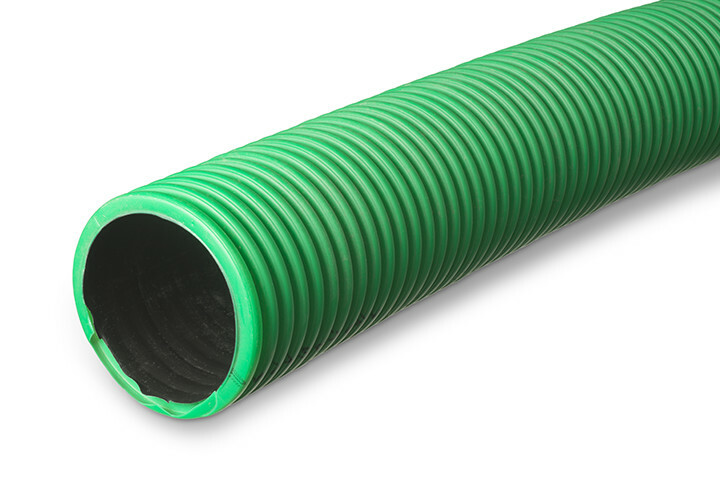 The smooth inner wall of the tube ensures a fast and efficient feed-through of cables. 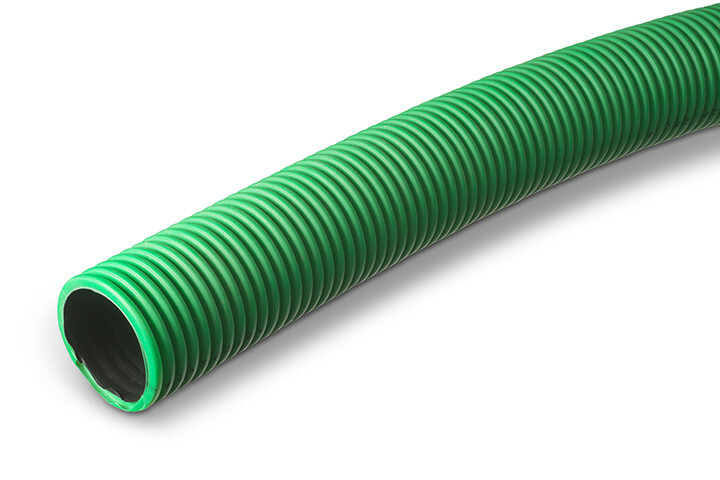 At the same time the ribbed outside of the tube ensures strength and flexibility. The result of this double-walled concept is a strong, robust and shock-resistant tube, which is lightweight and relatively flexible. 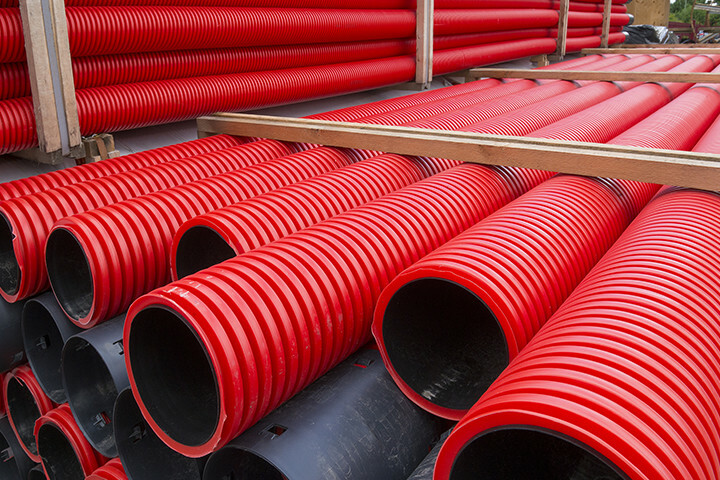 Flexible material, good alternative for (rigid) PVC tube. Strong tube with relatively high skull pressure load capability in accordance with EN 50086-24. Attractive price owing to material saving (layered) production method. Standard products are directly available from stock. You can choose from various TPC tubes with diameters from 40 to 200 mm. You will receive the tube on standard rolls of 50 metres or in 6 metre lengths. The rolls are made from LDPE on the inside, the lengths are from HDPE. Owing to the difference in the raw material, the 6 metre TPC tubes are smoother on the inside than the rolls, which again makes them more flexible. The rolls are provided with a polyamide pulling thread with which you pull the cables into the tube. The tubes are provided with a coupling sleeve on one side. The standard production colours are black, red and green, however other colours are possible upon request.